NIA CHARLESTOWN NEVIS (JULY 30, 2015)— Past Combermere School students paid homage to their Alma Mater and in the process, gave back to the Combermere community at a handing over ceremony at the Franklyn Browne Community Centre, on July 29, 2015. The donations they gave, came on the heels of a week of activities celebrating the Combermere School’s 75th anniversary which brought together past students who reside locally and overseas. Chairman of the Combermere Reunion Committee Romelo Jeffers, presented the Violet O. Jeffers Nichols Primary School and the Combermere Preschool with books donated by Vincent Joseph, who now resides in Miami, Florida. 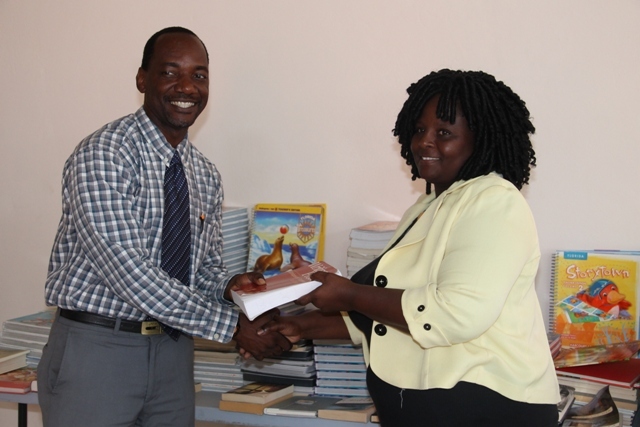 Assistant Secretary in the Premiers Ministry Kevin Barrett received the books on behalf of the Ministry of Education. Barrett thanked the donors for their generous donation. He expressed that gifts such as these were significant. He noted that although books may have price tags, there is no measure of value that could be placed on the role that books played in the lives of children. He also urged persons to make more donations of books despite the technological competition that exists. “We are encouraging others to do likewise… Children are interested in reading still, regardless of the influence of the television. Give a child a book to read and he or she will be happy,” he said. The Combermere School has since been renamed Violet O. Jeffers Nicholls (VOJN) Primary School and Barrett handed the books over to the Principal Shae Wilkin. In response, she registered her gratitude to Mr. Joseph and the Combermere Reunion Committee. She also stated that the donation would help to enhance the teaching experience provided at the VOJN. 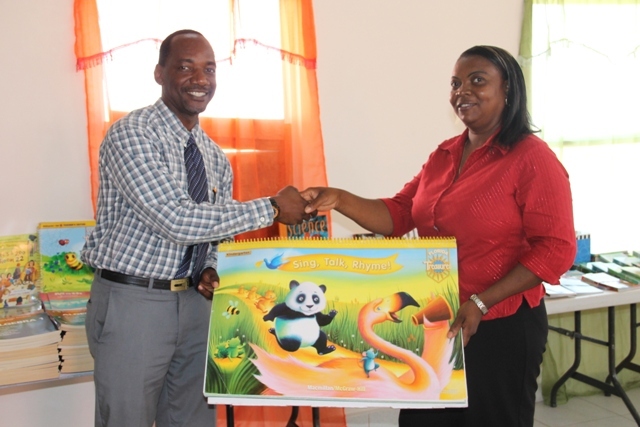 A thankful teacher of the Combermere Preschool Melisa Pemberton also received the books on behalf of the school. 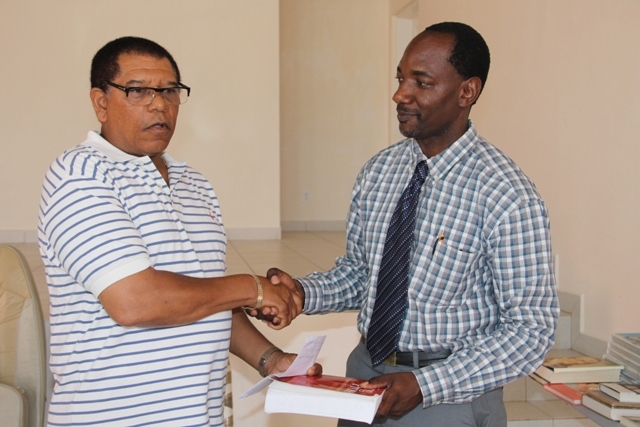 The presentation to the area of Education on Nevis was one of three donations made by the past Combermere students. One donation was made in the area of health and social development and the other in the area of community development.